Yes, Tim Tebow made this cut. Every team has a mistake or three on its roster, but we wondered who the very worst draft pick – ever – was for each franchise and got to work on the research. This is what we came up with. Chicago has had success in the NFL Draft since the very first one in 1936. 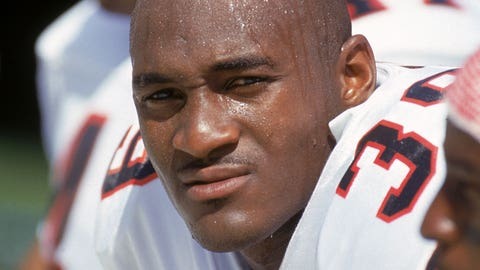 However, the Bears’ deft drafting when it came to running backs – Gayle Sayers with the fourth pick in 1965, Walton Payton with the fourth pick in 1975 – hit a snag in 1995 with the first-round selection of Rashaan Salaam. The Heisman winner faded after a strong rookie season and in 1998, the Bears drafted Enis out of Penn State to take over. But Enis made only one start as a rookie before tearing a knee ligament and wasn’t very good when healthy, averaging 3.3 yards per carry and scoring just four touchdowns. He was moved to fullback, and a degenerative knee condition ended his career after three seasons. The Bears’ search for the next Payton produced one more blunder: drafting Cedric Benson with the fourth pick in 2005. The ’90s weren’t nice to Cincinnati. Several high draft picks didn’t pan out, including back-to-back No. 1s: DT Dan Wilkinson in ’94 and RB Ki-Jana Carter – whose career was wrecked by injuries – in ’95. But the worst of the bunch was Smith. The Bengals reportedly turned down a package of picks from the Saints (who wanted Ricky Williams) to draft the unproven QB from Oregon. Smith made 17 starts in four years, finishing with an abysmal 52.8 passer rating and five TD passes with 13 interceptions. Buffalo has a checkered draft history – the Bills drafted both O.J. Simpson and Al Cowlings with top-five picks – with as many misses as hits. (Read about how they blew a No. 1 pick on Tom Cousineau, then turned him into Jim Kelly.) The Bills have drafted some duds in recent years, and Maybin was the worst. They made the Penn State pass rusher a first-round pick despite the fact he never had a full season as a starter, and he started only one game in two seasons with Buffalo and never recorded a sack. Among the players Maybin was drafted ahead of: Brian Cushing and Connor Barwin, both taken by the Texans. Denver doesn’t draft high very often – just three top-10 picks in the past 42 years – so when it misses, it’s on a mid-to-late first-rounder. That was the case with Tebow, whom the Broncos traded up to grab, sending second-, third- and fourth-round picks to Baltimore to draft the Heisman-winning QB and two-time national champion out of Florida. Tebow provided a magical run to the postseason and a playoff victory in 2011, but Tebow Time ended after Denver signed Peyton Manning, and Tebow’s attempt to continue his career as an NFL quarterback became a nationally covered exercise in futility. He finally gave up his football dreams to pursue a baseball career. No team has had worse luck in the draft; Cleveland seemingly has a new bust every year. The Browns have squandered the No. 1 pick three times, most notably back to back in 1999 and 2000, when they selected QB Tim Couch and DE Courtney Brown. 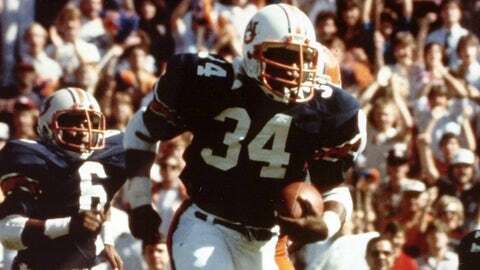 But perhaps the worst pick was Richardson, who was widely considered the top running back in the draft as a two-time national champion out of Alabama. The Browns traded the No. 4 pick and fourth-, fifth- and seventh-round picks to Minnesota to move up one spot and select Richardson, who ran for 950 yards and 11 TDs as a rookie but averaged just 3.6 yards a carry. Cleveland traded him to Indianapolis the following season for a 2014 first-round pick, which they used to select … Johnny Manziel. 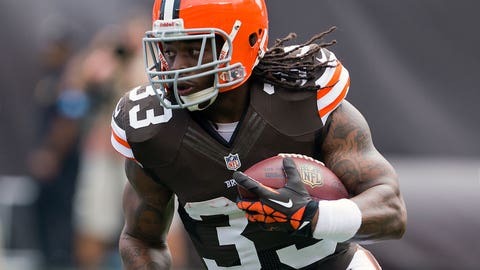 Richardson, meanwhile, averaged just 3.1 yards a carry for the Colts and was waived after the 2014 season. He hasn’t made the cut with another team since. Tampa Bay has a dreadful draft history to rival the Browns’, and ironically their worst pick probably was the best player they ever drafted. The story of the Bucs drafting Bo is a classic: While recruiting him, the team gave Jackson an ultimatum to choose between baseball and football. Then, Jackson lost his remaining eligibility during Auburn’s baseball season due to a trip he took on Bucs owner Hugh Culverhouse’s jet, which Jackson said the team told him had been OK’d by the NCAA. Bo believed the Bucs deliberately tried to sabotage his baseball career and vowed never to play for them. “I told Hugh Culverhouse, ‘You draft me if you want. You’re going to waste a draft pick, I promise you that,' ” Jackson said in a “30 for 30” documentary. Tampa Bay drafted him anyway, and a year later relinquished his rights, allowing the Raiders to draft him while the Bucs, who had the No. 1 pick again in 1987, took Vinny Testaverde. They wouldn’t make the playoffs again until 1997. The Cardinals have had many draft busts in their 96 years – Andre Wadsworth? Steve Little, anyone? – and an unlucky draft history, dating to the days when players like Joe Namath routinely rejected them for other leagues like the AFL. Those days were over by 1987, but the Cardinals were burned again when Stouffer rejected their contract offer and held out all year. The Cardinals traded the quarterback’s rights to Seattle, where he was mostly a backup for four unremarkable years. Among the players the Cardinals passed up? A few good QBs – Jim Harbaugh, Rich Gannon and Don Majkowski. Leaf, picked after Peyton Manning, is widely regarded as one of the biggest draft busts of all time. San Diego ignored some pre-draft red flags about his attitude and traded up to get him -- sending the No. 3 pick, a second-rounder, a 1999 first-rounder and two players to Arizona -- and ended up with a petulant, interception-throwing QB. Leaf had two TD passes and 15 interceptions as a rookie, missed the next season due to injury and struggled through one more year before the Chargers cut him. Just three years later, San Diego faced another QB dilemma with the No. 1 pick, as Eli Manning announced he wouldn’t play for the Chargers if they drafted him. 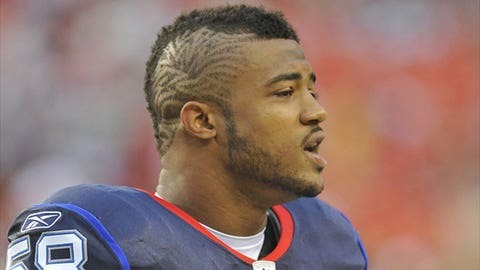 However, the Chargers picked him and traded him to the Giants for No. 4 pick Philip Rivers and two more selections, which they used to draft LB Shawne Merriman and K Nate Kaeding – quite a haul. In 1964, Kansas City used the No. 2 pick in its second-ever AFL draft to select USC QB Pete Beathard to back up Len Dawson, who had only, oh, 12 more seasons left in him. Beathard backed him up for three years before being traded to Houston. 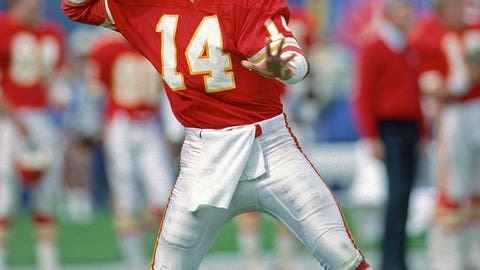 Nineteen years later, the Chiefs used another high pick to draft a backup QB, Blackledge, passing up Dan Marino and Jim Kelly in the best QB class of all time. Blackledge didn’t become the starter until late in the 1985 season, then was replaced midway through ’86. 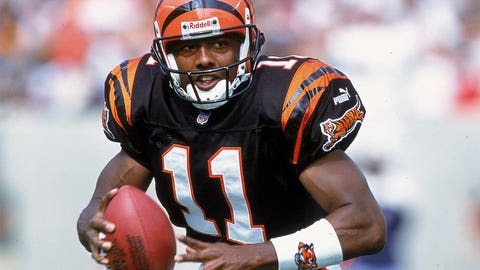 He started his only career playoff game that season due to an injury to Bill Kenney, going 12-of-21 for 80 yards and two interceptions in a 30-15 loss to the Jets. Indianapolis has drafted so deftly for the past 20 years that you might forget how disastrous the previous two decades were. There was the Art Schlichter scandal. The trades of John Elway (No. 1 in the famous QB class of ’83) and Cornelius Bennett when they couldn’t sign them. The career-ruining injuries to Steve Emtman and Trev Albert in the ’90s. But the pick that played out the worst was George. Three days before the 1990 draft, Indy traded six-time Pro Bowl guard Chris Hinton, future Pro Bowl receiver Andre Rison, a fifth-round pick and a 1991 first-rounder (used to draft WR Mike Pritchard) to Atlanta for the No. 1 pick, which the Colts used to select the QB out of Illinois. George got $15 million, the richest rookie contract at the time, however he went 14-35 as a starter, refused to report to camp at the beginning of 1993 and was traded to, ironically, Atlanta after the season. The Colts received first- and third-round picks and a conditional 1996 pick. 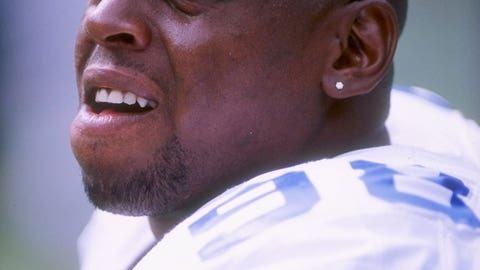 They traded the first two to select Alberts fifth overall in ’94, but the conditional pick paid off: Indy, whose draft luck had begun to turn, selected future Hall of Famer Marvin Harrison at No. 19. It’s a tribute to Dallas’ drafting that the worst they’ve done is waste a few mid- to late-first-round picks. Carver was one of those, a defensive end out of Arizona State who disappointed (including a six-game drug suspension) until his contract year, putting together a 40-tackle, six-sack season that exceeded his previous three years combined. But it wasn’t enough to get him a new contract from the Cowboys – or any other NFL team. He did, however, provide a few more small returns for Jerry Jones, earning All-Rookie honors in the Arena Football League for Jones’ team, the Dallas Desperados. As an expansion team, Miami had the first two picks in the 1966 AFL Draft and selected RB Jim Grabowski, who opted to instead sign with the Packers in the NFL, and QB Rick Norton, who did sign with the Dolphins and threw six TD passes and 30 interceptions in four seasons. That’s pretty bad, but Jordan arguably established himself as the Dolphins' worst draft pick while he was still on the team – albeit on the non-football injury list. 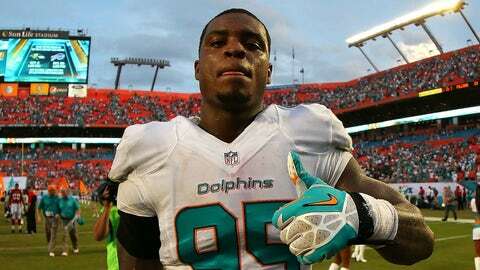 Jordan, a defensive end out of Oregon whom the Dolphins traded up to select, had 26 tackles and two sacks as a rookie, then 20 and two the next year while serving a six-game suspension for twice violating the NFL’s drug policy. He missed all of 2015 for a third violation and all of 2016 with a knee injury before the Dolphins finally released him. Philadelphia had the first pick of the first NFL Draft in 1936, selected Heisman winner Jay Berwanger, then traded his rights because the Eagles didn’t think they could sign him. If that’s not an inauspicious debut, what is? But perhaps their biggest flop was Williams, an offensive tackle out of Georgia who made several all-rookie teams, then was banned from the NFL for smoking marijuana. A lot. "I was young and dumb," Williams told the Philadelphia Daily News in 2001. "Not many people get the opportunities I had. And I wasted them." Atlanta blew a No. 1 pick on Aundray Bruce in 1988, but the Pickens pick was even worse. 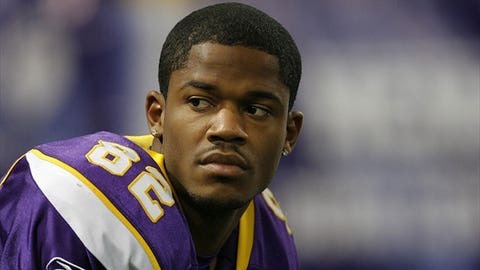 A cornerback out of Nebraska, Pickens made just eight starts in less than 2½ seasons, with 72 tackles, two interceptions and a sack – pointing to this pre-draft assessment: “A junior-college transfer who hasn't been exposed to top passing offenses and is somewhat raw in overall development but has the best physical skill of the DBs this year. Very athletic.” Missing on Pickens didn’t stop the Falcons from wasting another first-round pick on a Nebraska cornerback – they took the forgettable Michael Booker at No. 11 in 1997. The NFL just never agreed with Spurrier, a disappointment stretched over nine seasons. Selected to eventually succeed QB John Brodie, Spurrier saw more playing time as a punter at first. He attempted fewer than five passes in three of his first five seasons and struggled to maintain any amount of success. Even when Brodie retired, the starting job still was elusive: Spurrier missed almost all of 1974 with injuries and found only fleeting success the following year. 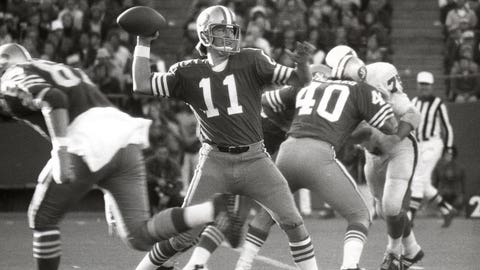 He was dealt to the expansion Tampa Bay Bucs, ending his time in San Francisco with 33 TD passes and 48 interceptions. Spurrier, of course, went on to be a coaching legend, but once again couldn’t carry over his success at Florida to the NFL, overseeing two losing seasons with the Washington Redskins before resigning and returning to the college game. Believe it or not, former QB Dave Brown isn’t the worst pick New York ever made. He’s not even the worst guy named Brown the Giants drafted. That would be the underachieving tight end out of Notre Dame. He had 11 catches for 87 yards in two seasons before being relegated mostly to special teams in his last year in the Big Apple. Johnny Mitchell, drafted by the Jets just one spot later, had a better tight end career even though he retired at age 25. 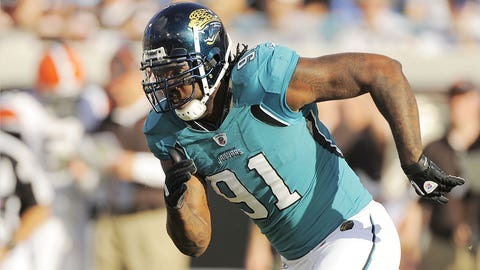 Brown was taken by Jacksonville in the expansion draft and bounced around the league before retiring. What about that Gabbert-to-Blackmon connection, right Jags fans? While Jacksonville blew it in drafting its supposed QB/WR duo of the future in Blaine Gabbert and Justin Blackmon – the latter of whom has been denied reinstatement by the NFL after arrests and drug violations – trading up to draft Harvey was an even bigger blunder. The Jags sent the No. 26 pick, two second-rounders and a fourth-rounder to Baltimore to select the defensive end out of Florida, who started all 16 games just once in three seasons before he was waived. Harvey never started another game in the NFL. New York has drafted some duds in recent years, and Gholston was the worst. 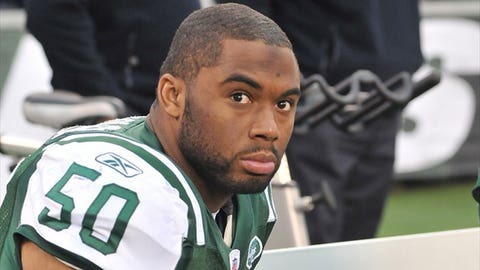 The Jets converted him from defensive end to outside linebacker, but the Ohio State product never recorded a single sack in three seasons, becoming the first defensive end drafted in the top 10 to fail to do so, according to The Wall Street Journal. Gholston made just five starts and finished with 42 career tackles before being released. He never played again. Detroit, like Cleveland, has had enough bad picks to make a list of its own. Charles Rogers’ sad story wasn’t even the worst by a Rogers – that would be Reggie Rogers, convicted of vehicular homicide. Joey Harrington and Mike Williams helped make the Matt Millen era the worst in franchise history. But the worst pick would have to be Ware, who couldn’t even get in games. 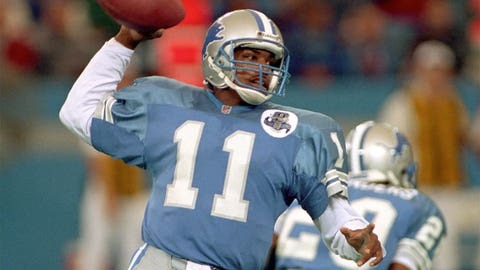 Drafting the Houston QB gave the Lions the past two Heisman winners in Ware and Barry Sanders, but Ware remained glued to the bench behind Rodney Peete and Erik Kramer. He appeared in just 14 games in four years, with a 63.5 passer rating, then never took another regular-season snap. Ware ended up in the CFL backing up another Heisman winner: Doug Flutie. 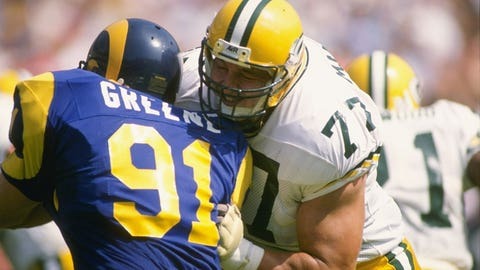 Green Bay is legendary for turning low picks into great players, but the Packers own a piece of notoriety for picking Mandarich. Hyped by Sports Illustrated as "the best offensive line prospect ever," Mandarich was drafted behind Troy Aikman and ahead of Barry Sanders, Derrick Thomas and Deion Sanders. Instead he proved to be a Brian Bosworth-type bust, as steroids, alcohol and painkillers contributed to his crashing out of Green Bay after three seasons. Mandarich managed a comeback with the Colts after getting sober but never lived up to the hype. Only the Panthers’ pick of Rae Carruth ranks above the Patriots’ pick of Hernandez in NFL Draft infamy. Though Hernandez was a great pick by football standards, catching 175 passes and 18 TDs in three seasons, the character issues that they overlooked in drafting the tight end came back to haunt them when he was charged with murder (and later convicted) in 2013. The Patriots probably should have learned their lesson after failing to do their homework in drafting Christian Peter in 1996. The Nebraska defensive tackle had been arrested eight times and accused of committing violence against women numerous times. Under pressure – reportedly from owner Robert Kraft’s wife Myra – the Pats became the first team in history to cut a drafted player before training camp. Oakland’s selection of Russell is such a famous flop that it even trumps picking Todd Marinovich. 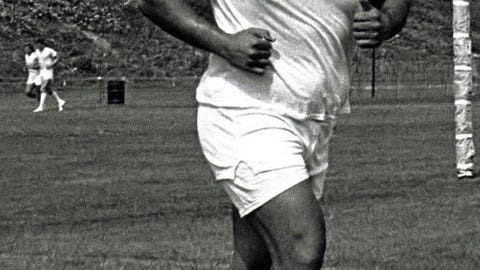 The LSU QB tantalized Al Davis with his size (6-foot-6) and arm but battled his weight and a reputation for bad work habits and Oakland released him after three seasons. He never got another chance in the NFL. Russell finished with a 7-18 record as a starter, 18 TD passes vs. 23 interceptions and a 65.2 passer rating. The Rams not only took a risk on Phillips and got burned, but to clear the way for him they traded Jerome Bettis, who went on to a Hall of Fame career with the Steelers, on the day of the draft. Like Christian Peter, Phillips was a talented but troubled Nebraska star, and St. Louis paid the price for ignoring his red flags. 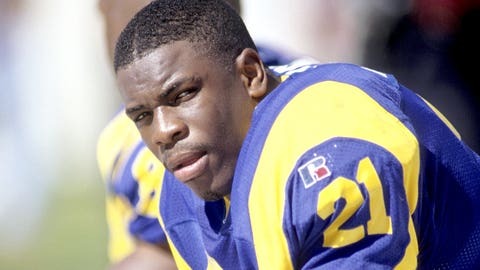 Phillips was arrested three times in 19 months before the Rams cut him, and while both the Dolphins and 49ers gave him opportunities, on- and off-field problems ended those stints and his NFL career. Sadly for Phillips, the worst was yet to come: He went to prison for driving his car into a group of teens following a dispute and also was convicted of domestic violence charges. While in prison Phillips was charged with murdering his cellmate. He committed suicide in January. The Ravens have been around for just 20 years, but they’ve had more success in the draft than some teams twice their age. Consider: They plucked Jonathan Ogden and Ray Lewis with their first two picks in team history. However, they didn’t have any luck drafting a quarterback until 2008, when they took Joe Flacco. Chris Redman, a third-round pick in 2000, made just six starts in four seasons, and Boller, who was drafted to replace him, never lived up to his potential despite starting 42 games in five seasons. Injuries and Boller’s propensity to turn the ball over (44 interceptions, 36 fumbles) led Baltimore to trade for Steve McNair in 2006, and the two alternated as the starter over the next two seasons before McNair retired, the Ravens fired Brian Billick and drafted Flacco. Boller got to compete for the starting job again, but a preseason injury put him on IR, ending his time in Baltimore. He made just five more starts in his career without a win. Washington has had some regrettable draft history going back decades – just read the stories of Cal Rossi and Ernie Davis – but in modern history, nothing tops the selection of Shuler. The Tennessee QB was expected to return the Redskins to dominance, after four Super Bowl appearances from 1982-91. 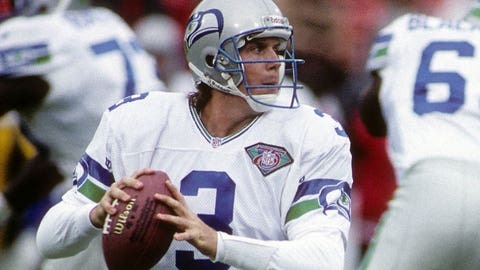 Instead he lost the starting job to a QB, Gus Frerotte, drafted behind him in the seventh round. Shuler had more success in Washington as a Congressman (2007-13) than an NFL QB – he lasted just three seasons, throwing for 13 TDs and 19 interceptions in 13 starts before being traded to the Saints. 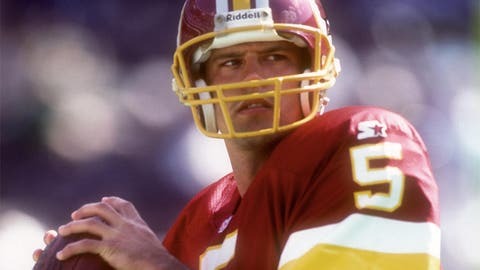 The Redskins, meanwhile, made the playoffs just once in the decade after drafting Shuler. New Orleans has had some horrible draft history since trading the No. 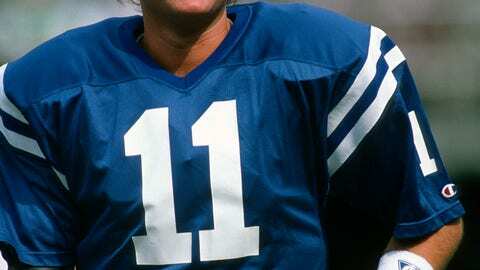 1 pick in its first draft, in 1967, to Indianapolis for QB Gary Cuozzo, who lasted just one season. More messes followed – the Saints selected a punter, Russell Erxleben, 11th in 1979 – but the biggest was Mike Ditka going all in with Williams. 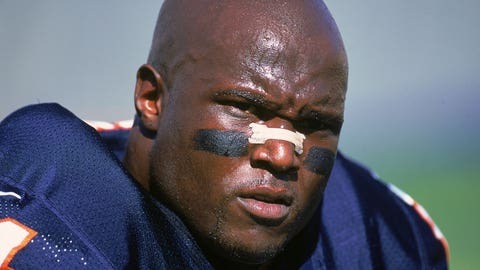 The former Bears coach believed Williams could be his new Walter Payton and convinced the Saints to trade every pick they had in the draft, plus a first- and third-rounder the next year, to Washington for the fifth pick. The Saints gave up eight picks in all for Williams, who couldn’t save them from a 3-13 season that cost Ditka and GM Bill Kuharich their jobs. 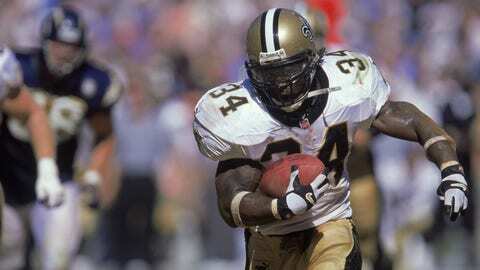 Williams was a 1,000-yard rusher each of the next two seasons, but the Saints traded him to Miami and regained a couple of first-round picks, while Williams went on to a tumultuous career that included a one-year drug suspension and another year-long absence – also drug-related. Seattle’s best known bust is The Boz, but the Seahawks have done worse. After missing on Dan McGwire with the 16th pick in 1991, Seattle spent another first-round pick on a QB two years later – and missed again. Despite finishing second to former Notre Dame teammate Jerome Bettis in offensive ROY voting, Mirer struggled in four seasons in Seattle, throwing 41 TD passes and 56s interceptions before being traded to Chicago. On the bright side, the Seahawks got a first-rounder for Mirer, which they parlayed into the No. 3 pick in the 1997 draft that became Shawn Springs, who went on to be a Pro Bowl cornerback while Mirer never threw a TD pass for the Bears. Pittsburgh rarely drafts high – just three top-10 picks in the past 30 years – and misses on a pick even less often. But this was one of the rare occasions when a late first-round pick proved especially costly. The Steelers passed on University of Pittsburgh’s Dan Marino to pick Rivera, an All-American nose tackle from Texas Tech. But one terrible mistake behind the wheel during his rookie season – “I was drinking and wasn't wearing a seat belt” he told FOX Sports in 2013 – left him paralyzed. Miami picked Marino, and Pittsburgh wouldn’t draft its next franchise QB until Ben Roethlisberger in 2004. Right bloodline, wrong Carr brother. Houston was awarded the top pick as an expansion team and used it to select the Fresno State QB, who compiled a 22-53 record in five seasons as the starter. Sure, he was sacked a record 76 times as a rookie, but it wasn’t simply a case of good QB on a bad team. Carr played six more seasons with three teams and started just four games. (He did get a Super Bowl ring with the Giants in 2011 without playing a snap.) 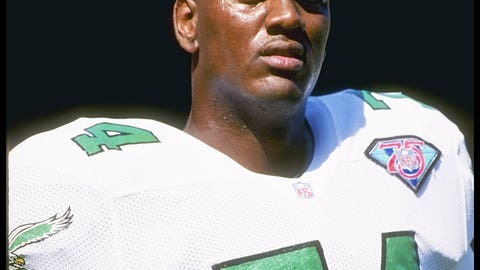 The Texans also struck out with the first pick in the expansion draft, taking Tony Boselli – the Jags’ first-ever pick as an expansion team in 1995, who became a Pro Bowl offensive tackle. But Boselli never played for the Texans due to injuries and retired. The franchise began as the Houston Oilers, and after picking Billy Cannon in the very first AFL Draft in 1960, they won the first two AFL championship games, with Cannon earning MVP honors both times. Houston didn’t always draft so well, but the Oilers managed to turn some big mistakes into good trades – with Scott Appleton, No. 1 pick John Matuszak and No. 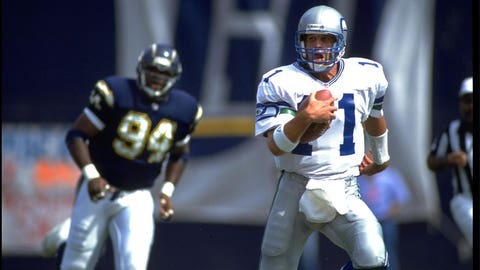 3 pick Jim Everett after they failed to sign him. 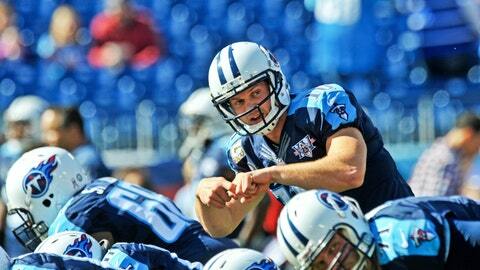 However, the Titans had no such luck with Locker, whom they drafted to replace another failed pick, Vince Young, at QB. While Locker might’ve been a better pocket passer, the Titans weren’t nearly as successful with him as their starter (9-14), and in 2015 he retired, citing a lack of desire to keep playing. Minnesota has been one of the best teams in the draft since selecting Fran Tarkenton in its first year. The Vikings haven’t had many misses, but they goofed twice in the first round in 2005. Williamson’s three years were marked more by his drops than his 79 catches – he reportedly blamed poor depth perception at one point – and he was traded to Jacksonville, where he had just eight more catches, for a sixth-rounder.